Lightweight wheels and their importance explained in light of how heavy wheels affect your car’s performance negatively. Thanks to cosmetics and style, people often ignore the weight of the wheels they are buying. That is a terrible mistake. For car people, a neat set of aftermarket alloy wheels has always been one of the first mods they do to their cars. For the majority of people, the main reason to do so would be the looks. 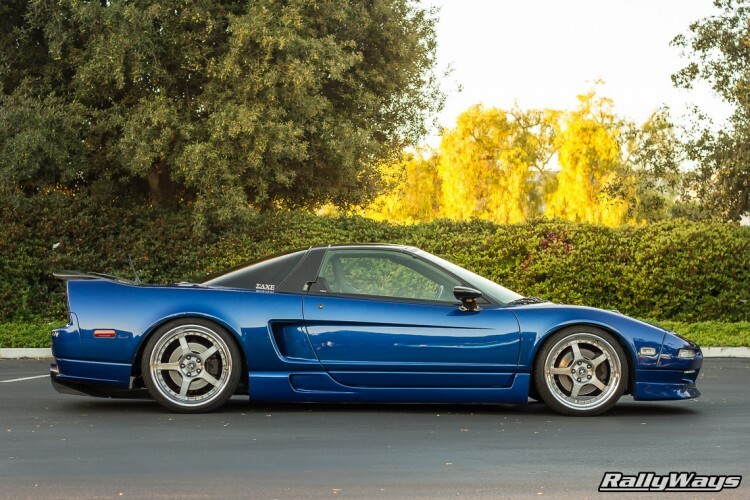 Let’s be honest, trading the often smaller and boring looking OEM wheels for a bigger set of aftermarket wheels with a nice design looks great, and it’s an easy way to give your car that personal touch and to help it stand out. There should be nothing wrong with that at all! However, many people think that by doing so, they are improving the performance, driving feel and ride quality of their beloved drivers’ and performance cars, which isn’t necessarily true. The one thing that is often overlooked is the weight of the wheel. 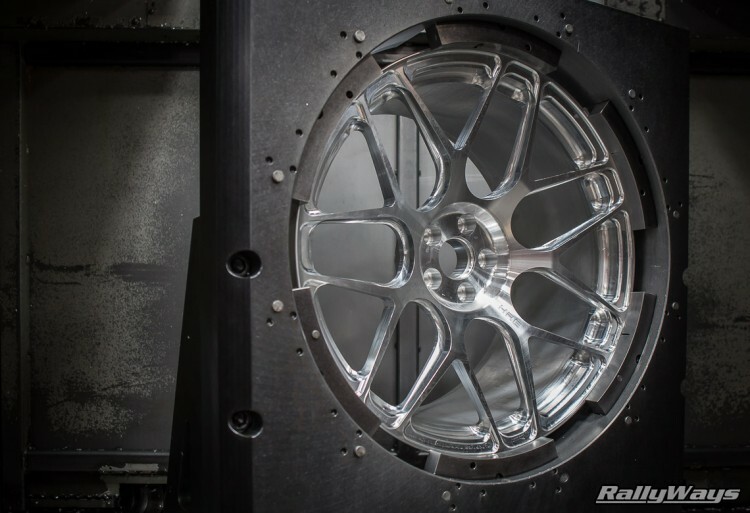 Many of the (cheaper) aftermarket wheels that are installed on vehicles will actually be heavier compared to its OEM or factory installed counterparts. Now when your heart lays more with car shows and the looks of your car rather than handling and/or performance driving or track days, then that’s perfectly fine. We like both here at RallyWays. In case you are more interested in driving than hard-parking and you want to improve the way your car performs on the road, the answer is: Lightweight wheels! Before going into more detail about the importance of lightweight wheels, let’s take a closer look into how a car’s weight is categorized first. A car’s weight can be defined by the total weight of its parts. The total weight will affect the car’s ability to accelerate, brake and steer. When the total weight can be reduced, this will have a positive impact on the overall performance and handling of the car. Why? Less mass will need to be moved and controlled, which means that less energy is needed to do so. The sprung weight is the total weight of all parts on the car that is supported by the car’s suspension. Some examples are the engine, exhaust system, bodywork and interior parts. The unsprung weight is the total weight of parts that are NOT supported by the car’s suspension. We’re talking about the shock absorbers, springs, suspension links, axles, the braking system and of course also wheels and tires. Now, it is the unsprung weight of the vehicle that directly affects driving feel of a car. The smaller the amount of unsprung weight, the more effectively the suspension will be able to do its “stabilizing” job on uneven roads. So reducing the unsprung weight will result in an overall better handling car with a better driving feel. Additionally, we have the rotational weight of the car. These are the parts that rotate, such as the drive shafts, wheels and tires. The amount of rotational weight will play a big role in the performance of the car. The lower the weight of these components, the less energy is required to accelerate and decelerate. This will enhance the car’s performance. Additionally, the further away from the rotational axis the weight is located, the more of a negative impact it will have on performance. For example, a wheel that carries more of its weight around the outer edge of the wheel will perform worse than a wheel of the same weight that has most of that weight closer to the hub. Bottom-line, when installing heavier wheels, you are actually adding unsprung and rotational weight to your car, which will have a bigger negative impact on the handling and performance of your car than any other similar weight added to the car elsewhere. Of course there are solutions for the above mentioned problem. There is a wide range of lightweight performance wheels on the market for pretty much all types of cars. 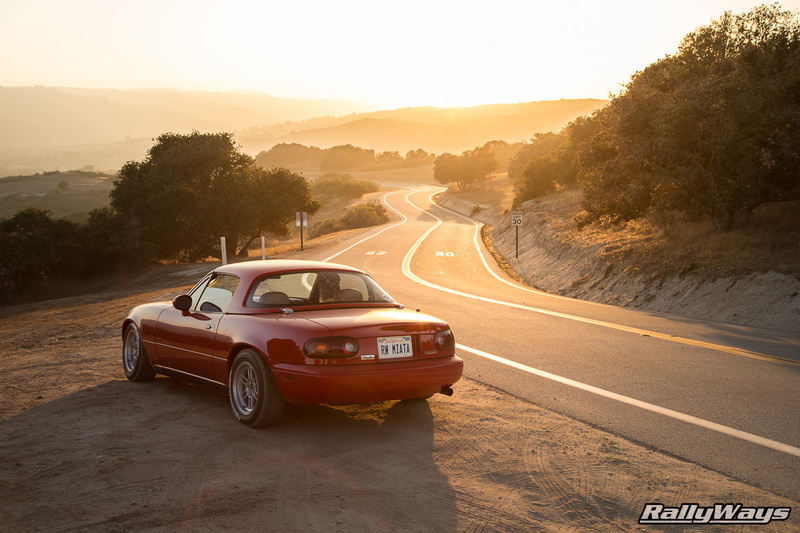 A good example of lightweight wheels are Enkei’s RPF-1 wheels, installed on the RallyWays Miata. Those 14” RPF-1 weigh only 8.6 lbs (3.9 Kg). The stock 1995 Miata wheel weight is 11.5 lbs (5.2Kg) – That’s a good weight savings right there. Even though the stock Miata wheels are considered lightweight wheels, reducing that weight even further enhances an already great handling car. In conclusion, it’s always better to install lightweight wheels when replacing factory wheels. If you really like a specific aftermarket wheel, at the very least try to match your stock wheel weight. When possible, going lighter than stock is better. However, with no exceptions, going heavier than stock will always affect your car’s performance negatively. The more you go upwards past stock wheel weight, the worse the car gets. Good examples of high quality lightweight wheel brands are Team Dynamics, Enkei, BBS, OZ, HRE, FlowForm and Volk Racing. Still, keep an eye on the weight by model. Just because the wheels are made by one of these brands doesn’t mean they can all be considered lightweight wheels. The specific model you like might not be necessarily considered lightweight wheels for your particular car. Also, there are brands like Konig, a company that is not synonymous with lightweight wheels, but they do make a few models that are lightweight wheels and popular with people looking for great performance for a low price.